So, there’s nothing new except that I can better explain the theory and mechanics behind the model. Knowing what to do is great, but knowing why you want to do it that way will prevent you ever getting too far afield when you struggle with your swing as some do from time to time. Let’s take a look at things. I took great pains in breaking down the “One Major Move” from the 2017 “E = MCS” video in the 3rd video of the series, the “MCS – The Kinetic Chain” video from this past summer. 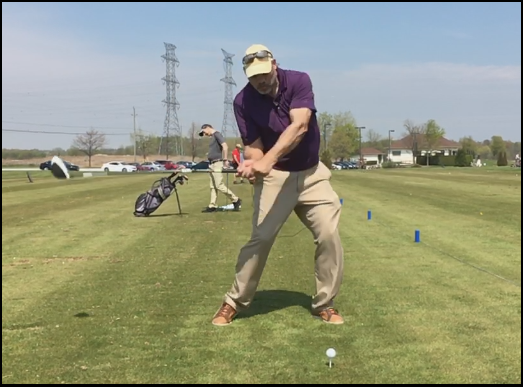 There is a natural progression in everything – in the 1st video, I laid out the “simplest golf swing model ever,” because the “One Major Move” is really all you have to learn and implement. 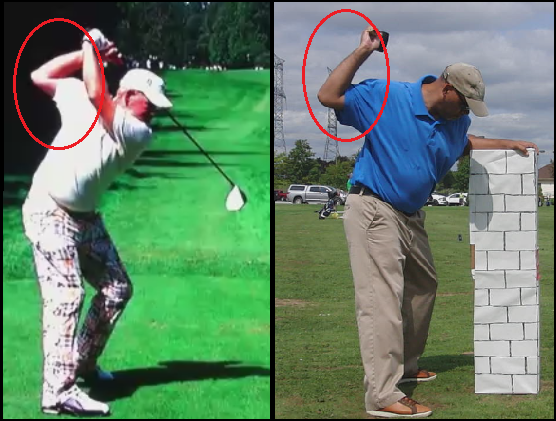 In the next video, “EMCS2 – The Follow-Up,” I discussed at length the 3 Levers of the MCS Golf Swing, and how you use those levers to make your most effective and efficient swing possible – from there, I explained and demonstrated how the shorter and tighter back swing had me swinging better than ever, in the “MCS – Kinetic Chain” video. Everything is connected – if you understand the 3 Levers concept from “EMCS2,” then you’ll understand what I mean right now when I tell you that the “Big Legs, Little Arms” concept of the tighter pivot work to meld the 1st and 2nd Levers so that you get maximum power coming down into and through the “3 O’Clock” position halfway down. When I talk about “Push & Pull” in the golf swing, that is really the 1st and 2nd Levers aspect. The 1st Lever is engaged with the shift of weight and pressure to the leading foot – you don’t even have to think about it – that is the “Pull” of the down swing. You don’t want to “pull” down with the power or right hand (for a right-hander), you want to “push” down, and that’s where the tighter top position allows you to do that. 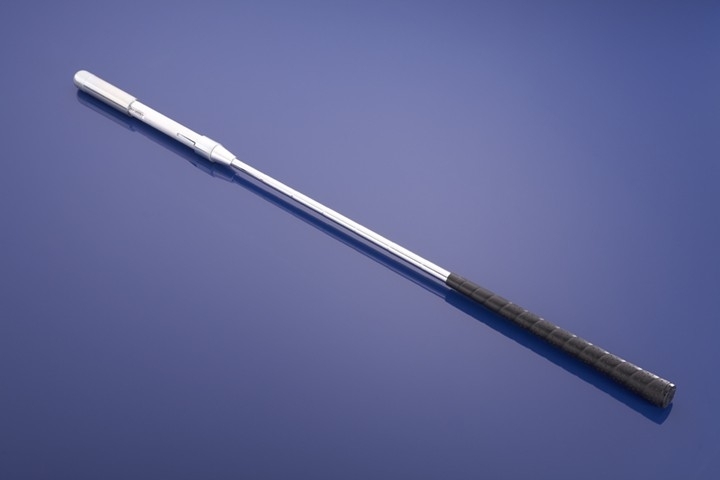 Focus exclusively on the “Push” action with the power arm, exploding down and through the swing bottom. … can you see the “push” action in his right arm, all the way from the top down? Almost as if he’s pushing the hands and club grip down against the left arm? If you look at how long his right heel stays down, that’s a big indicator that he’s “pushing” more than “pulling,” because the “pulling” action, as I’ve described in the way the 1st Lever really works, comes from the weight transfer and hip turn. Does it not look like he’s throwing the club down and through? Look at that hip turn and nearly-straight right leg on the back pivot – once Dunaway transfers to the leading foot, he’s got all the “pull” action he needs, without having to think about it. This is why golfers who restrict their hip turn on the back swing or don’t transfer fully to the leading foot on the down swing have to jump and snap that leading leg – they’ve lost the natural “pulling” leverage that comes from the free and full hip turn (Big Legs) and have to do something unnatural to get that leverage. Or, when they don’t transfer to the leading foot, they have to do the same jumping/snapping to get that leg and foot out of the way coming through impact. Just as you can’t throw something properly without a full transfer to the leading foot!